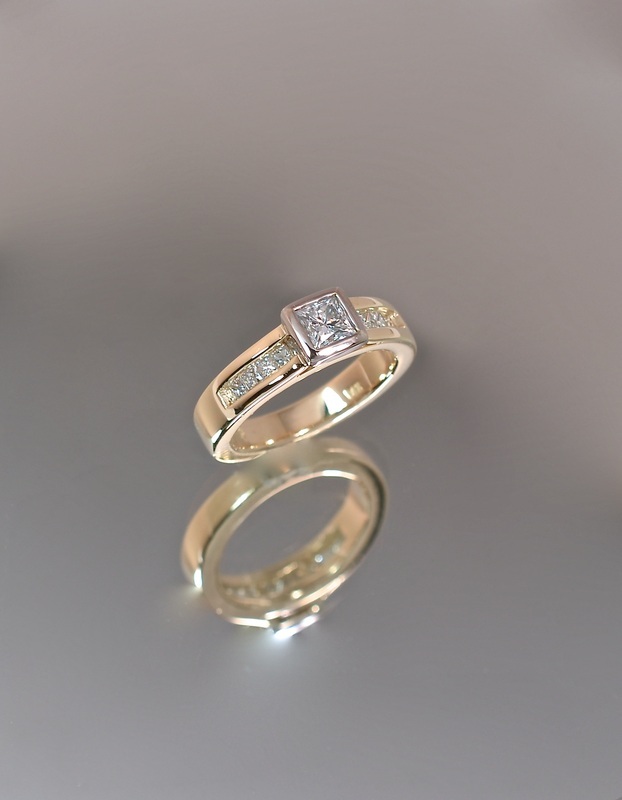 14kt yellow gold engagement ring featuring a 0.54ct Princess cut diamond set in white gold with eleven small 0.04ct accent diamonds channel set under the main setting. 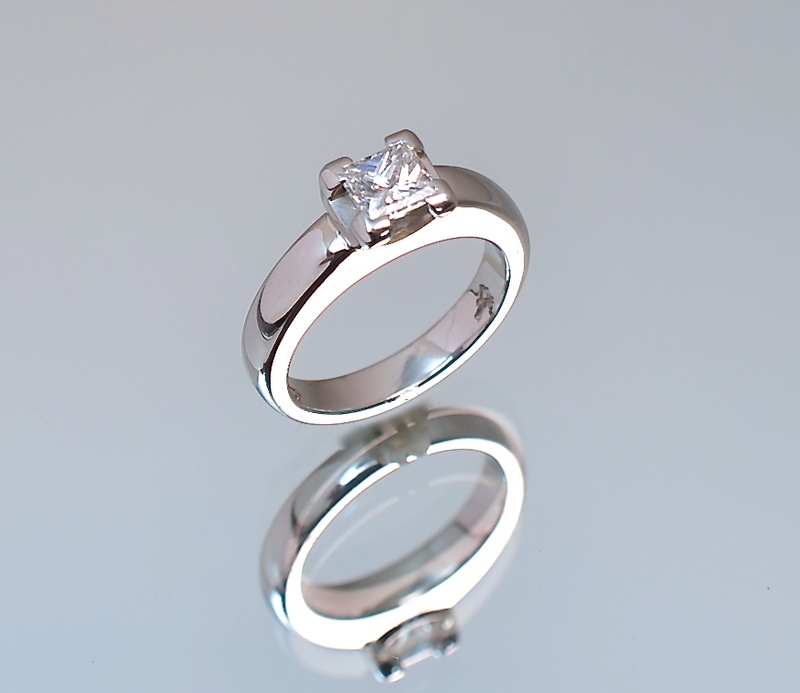 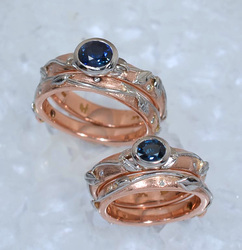 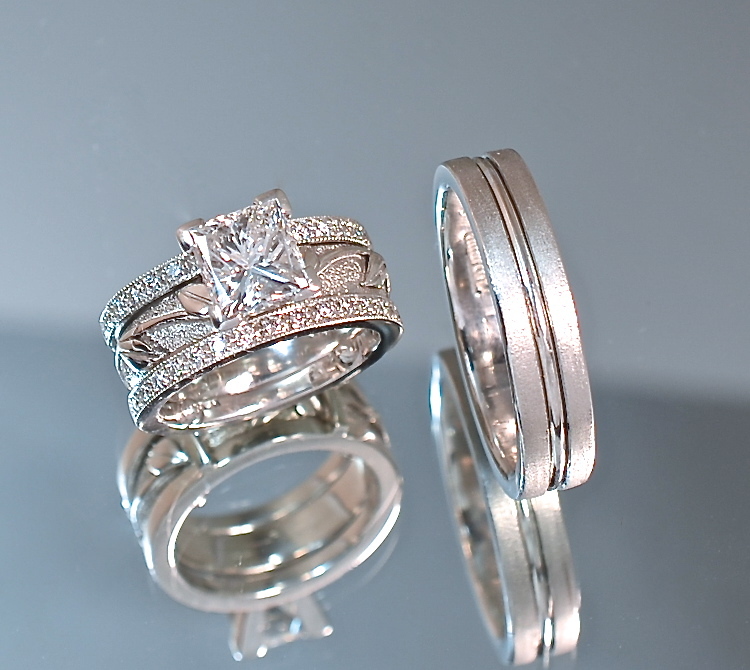 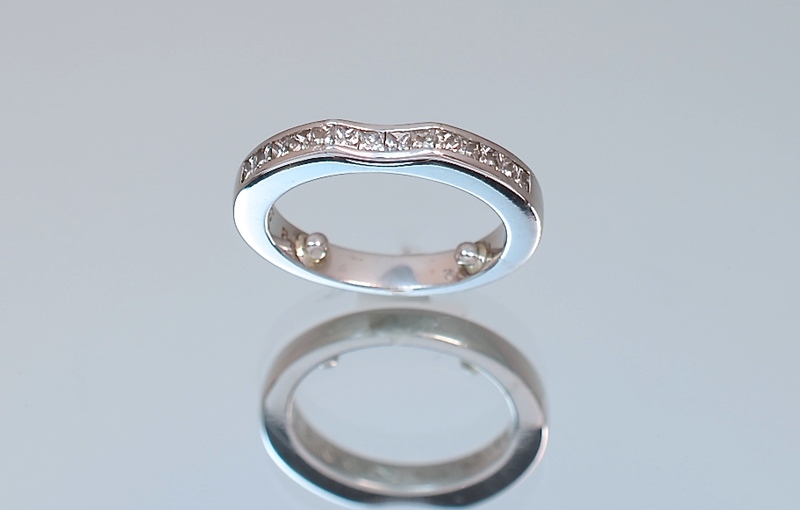 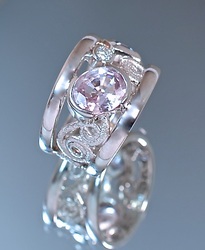 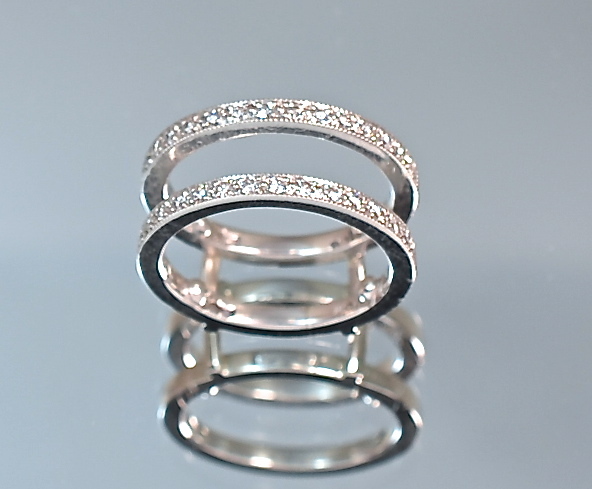 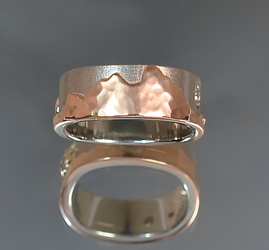 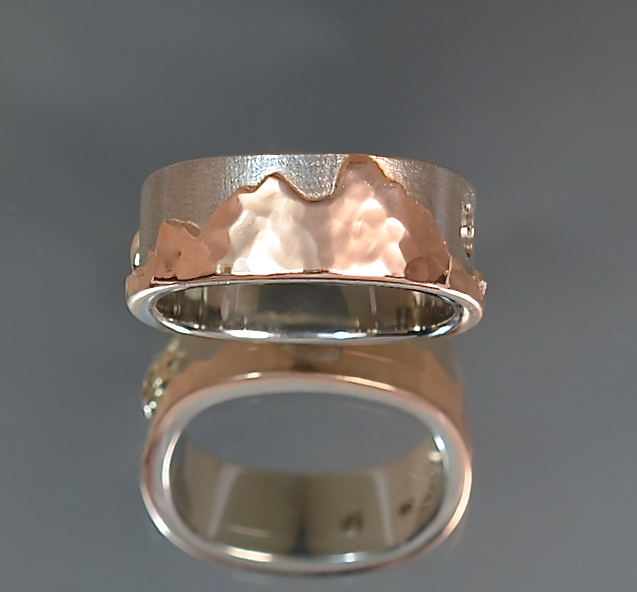 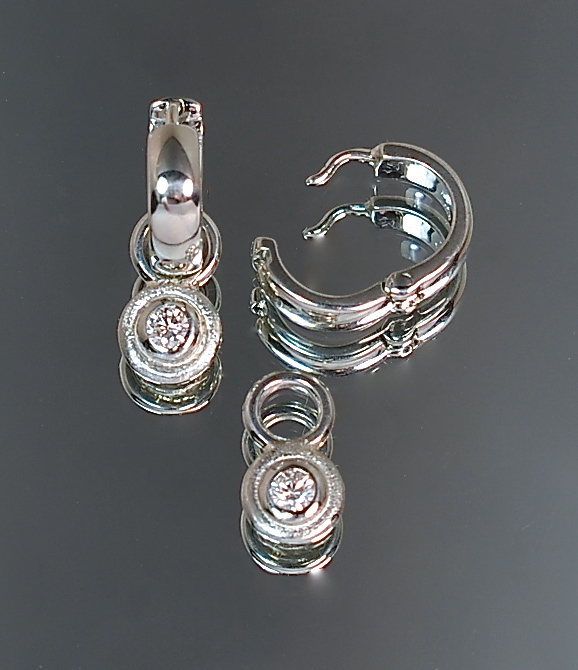 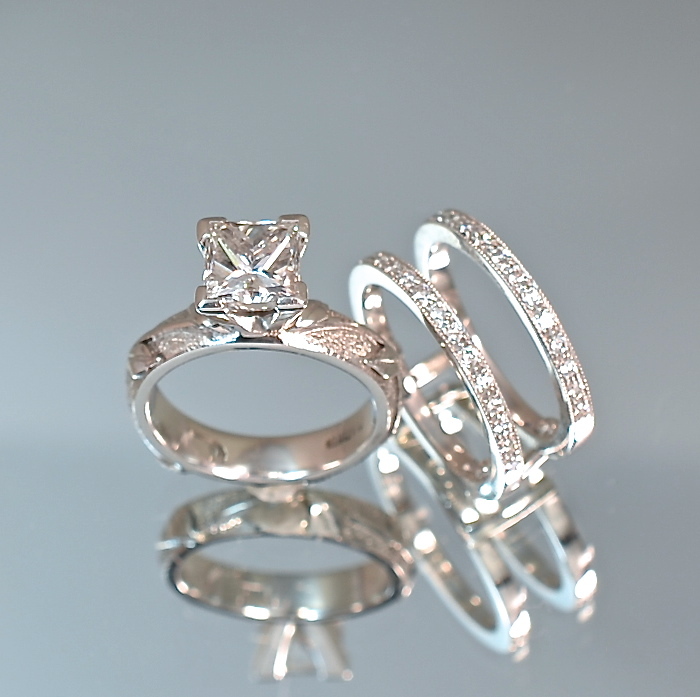 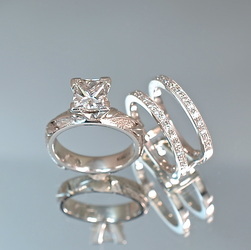 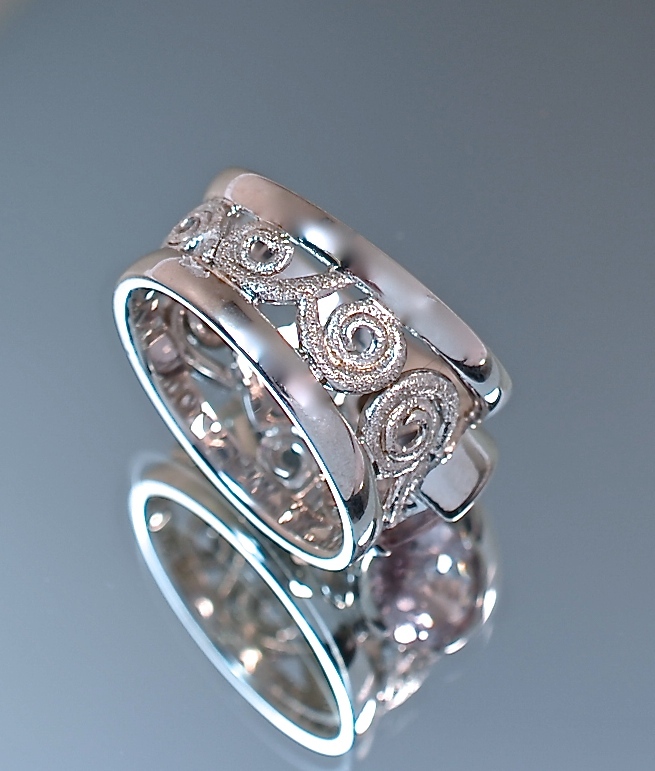 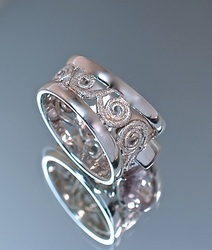 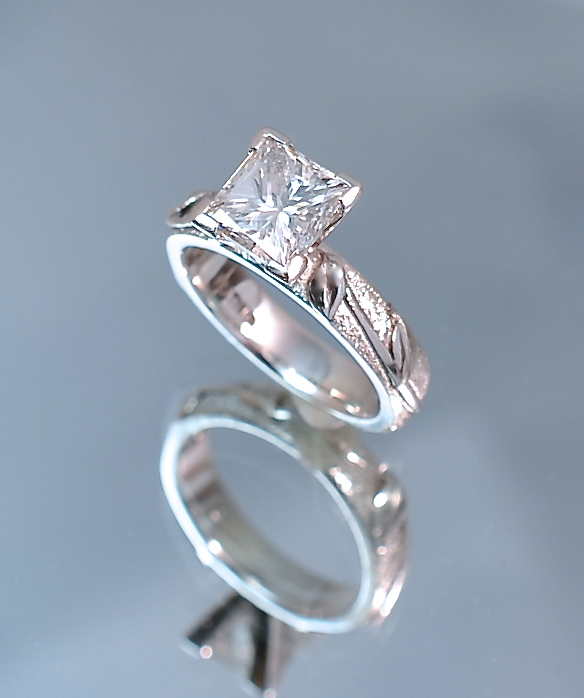 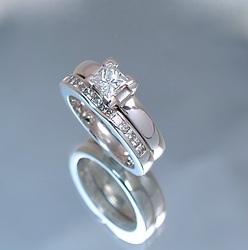 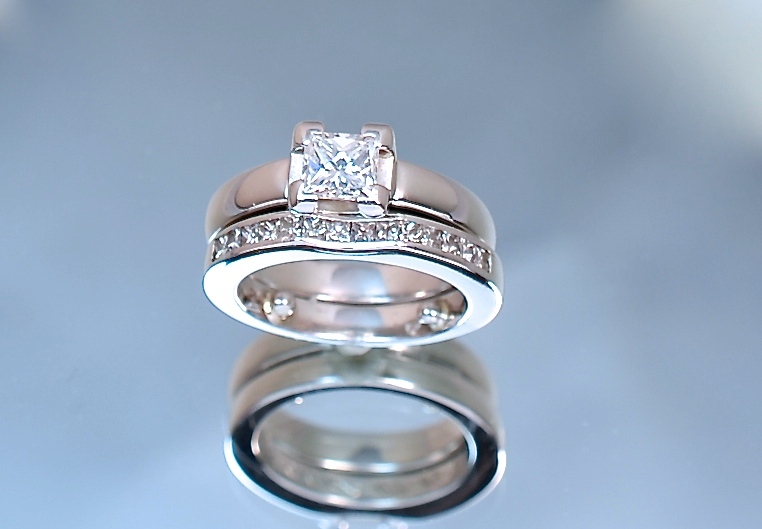 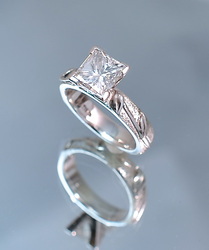 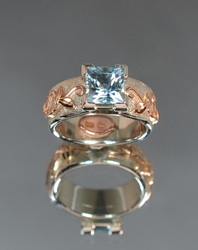 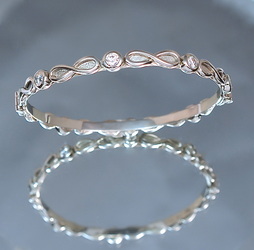 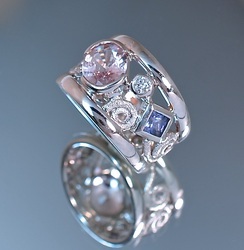 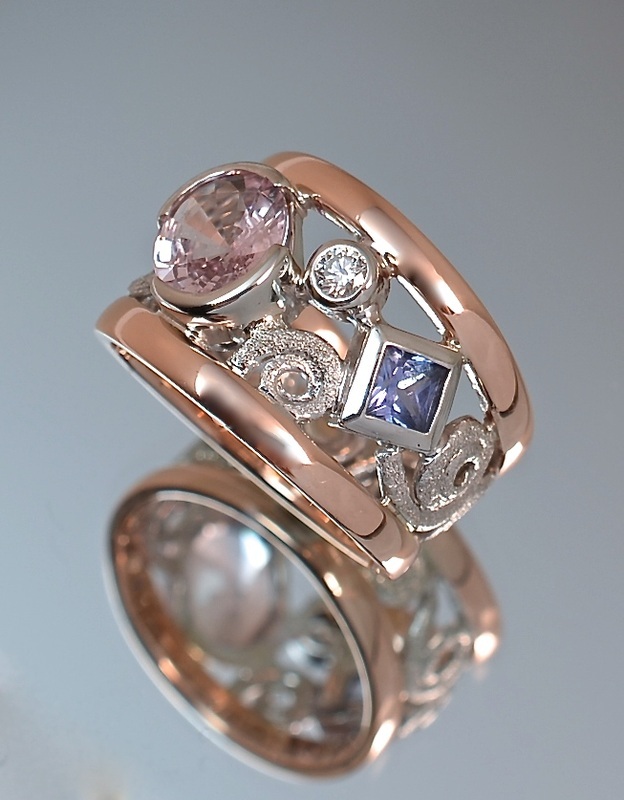 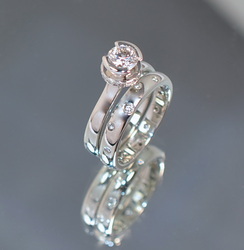 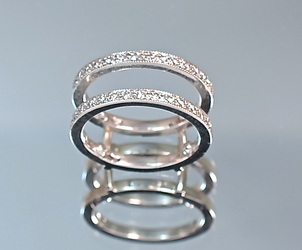 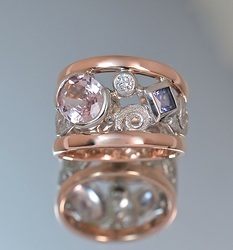 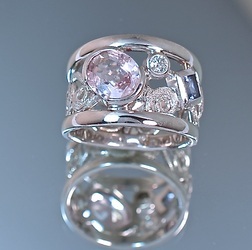 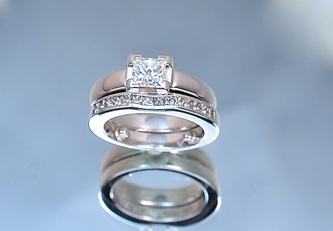 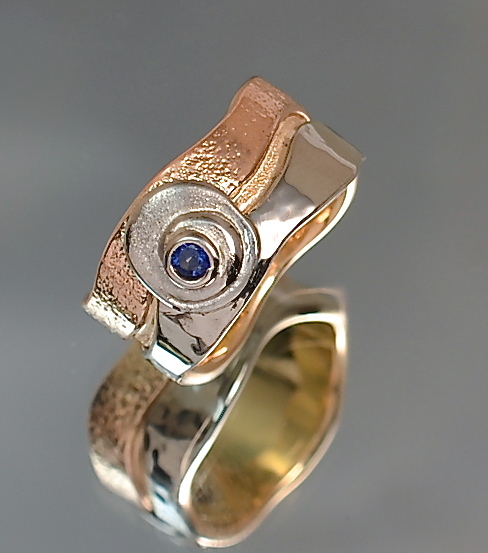 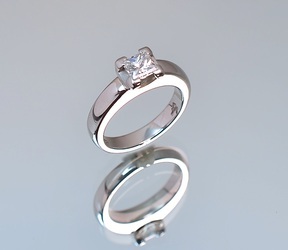 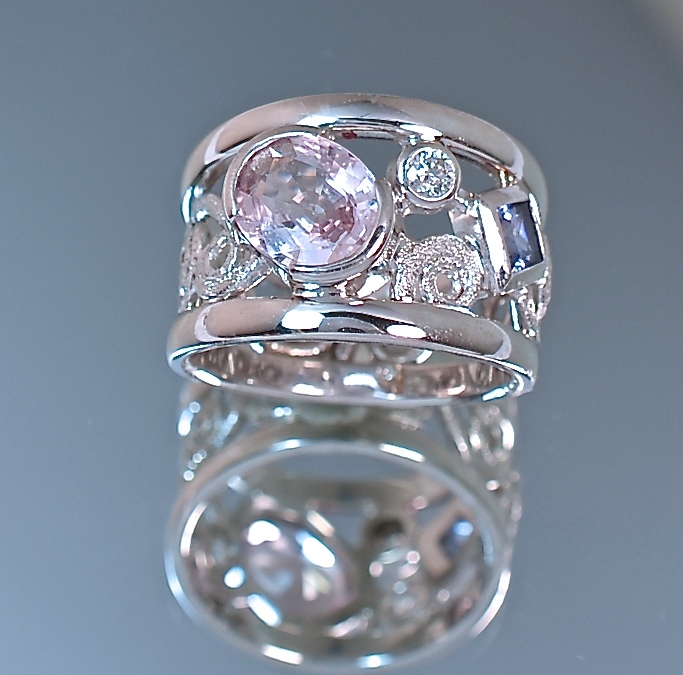 Engagement ring with matching wedding band. 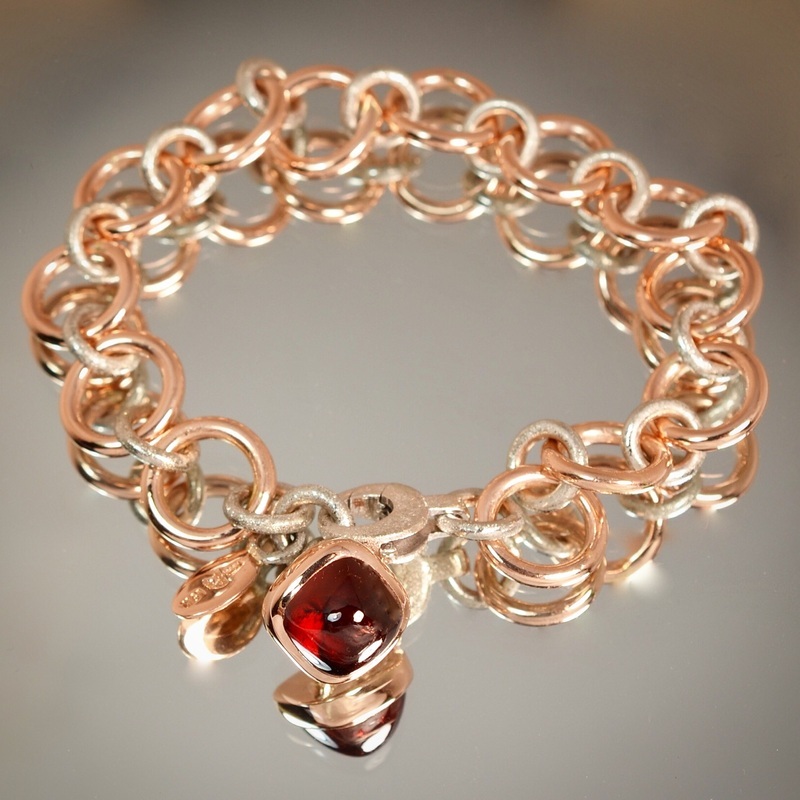 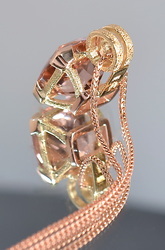 Garnet bullet charm bracelet- 18kt rose gold with 19kt white gold. 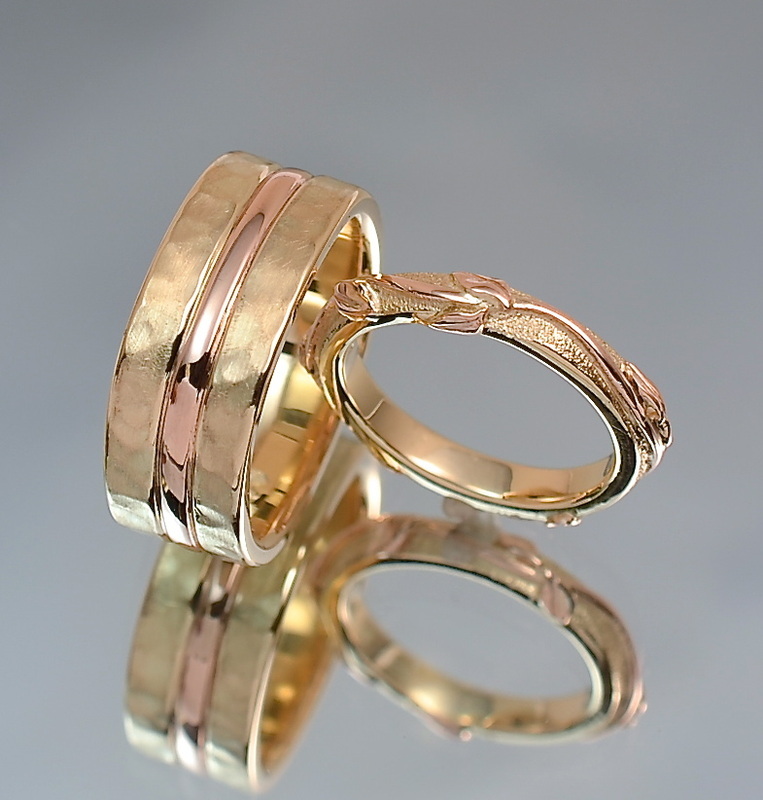 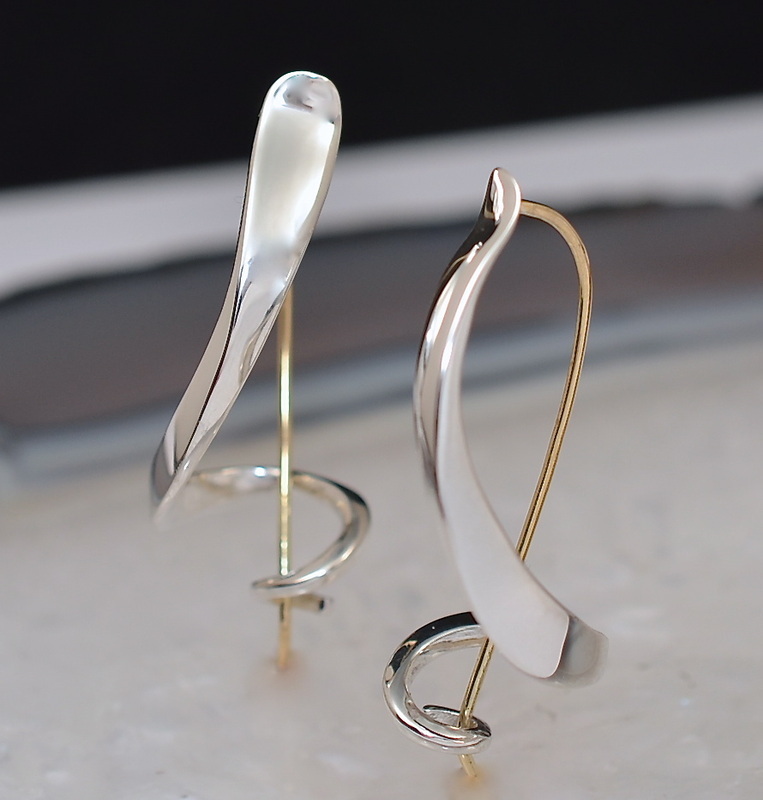 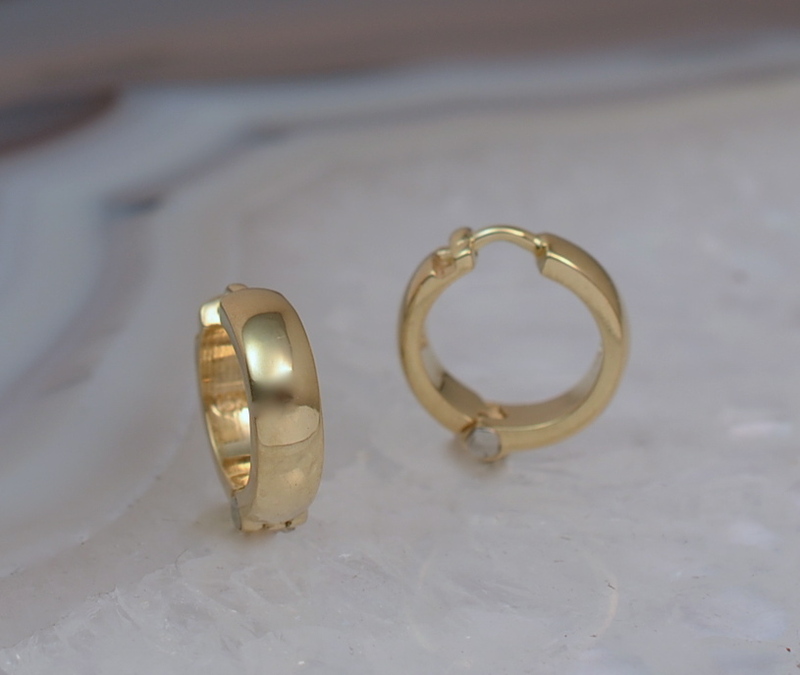 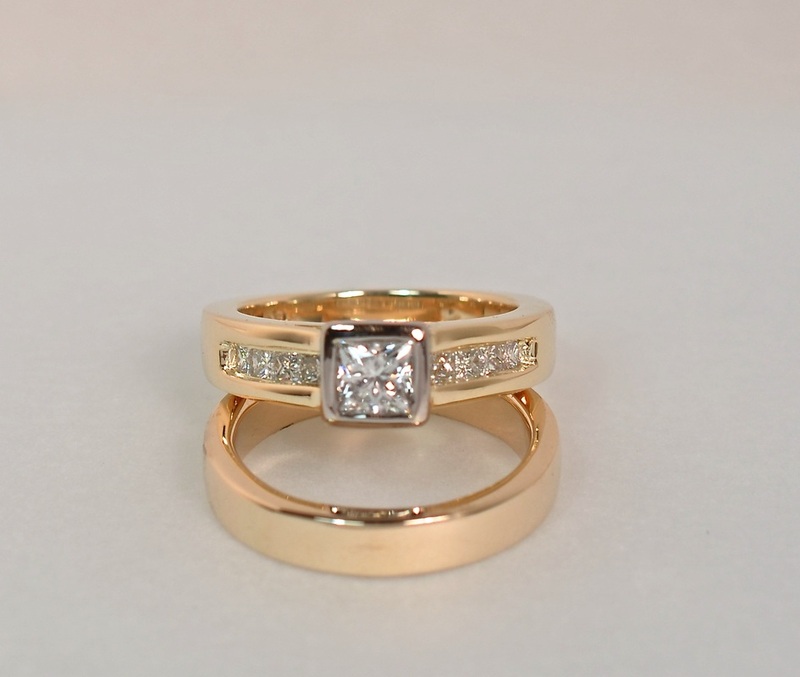 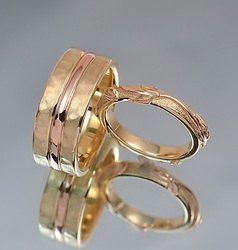 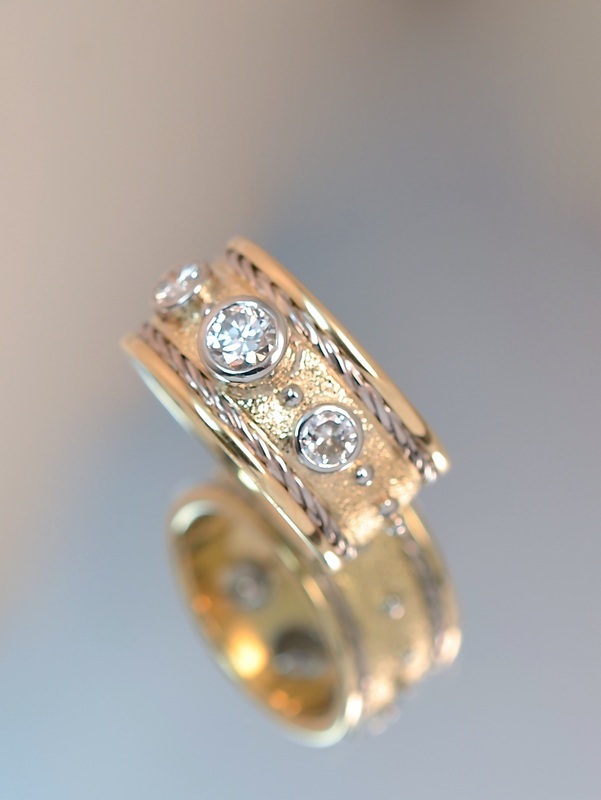 18kt yellow gold simple wedding bands. 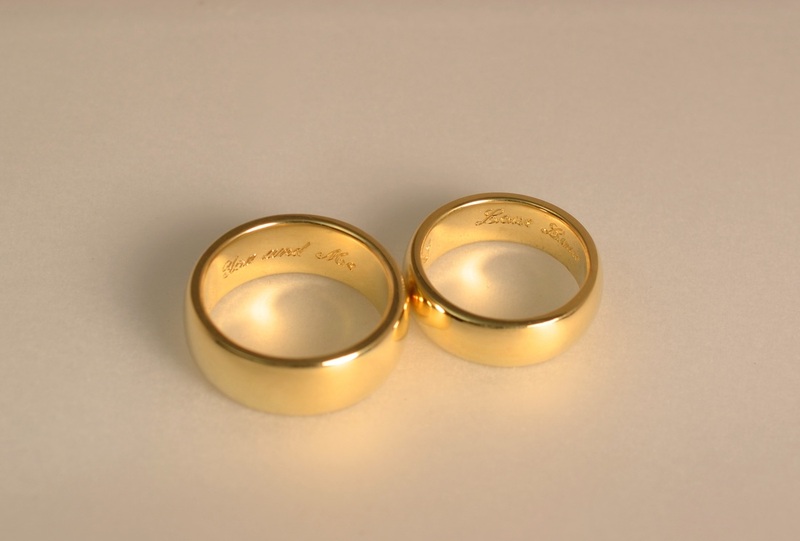 Engraved inside. 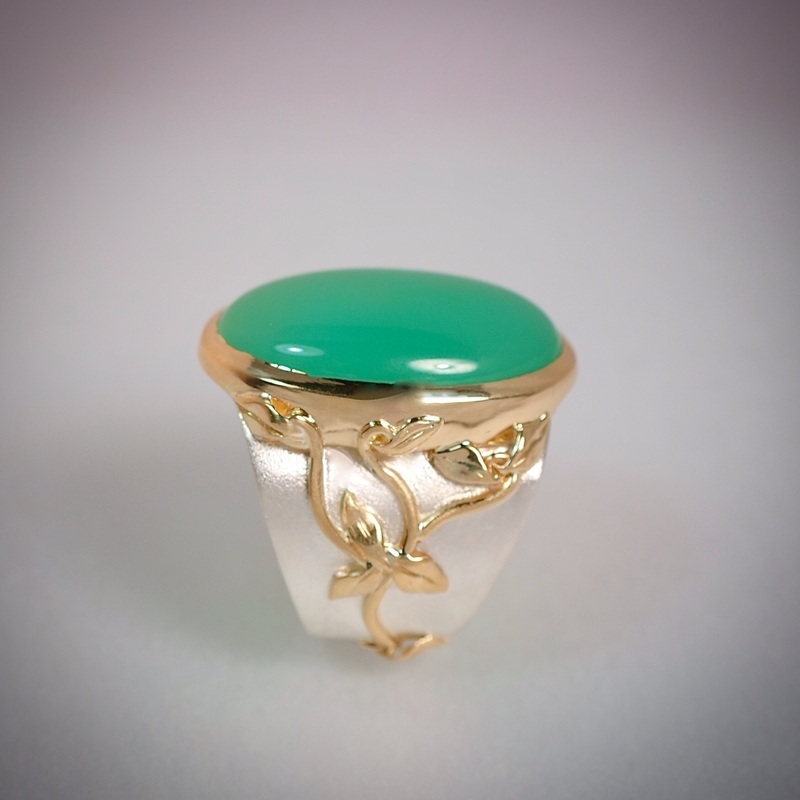 Sterling silver with 18t accents- Chrysoprase cabochon. 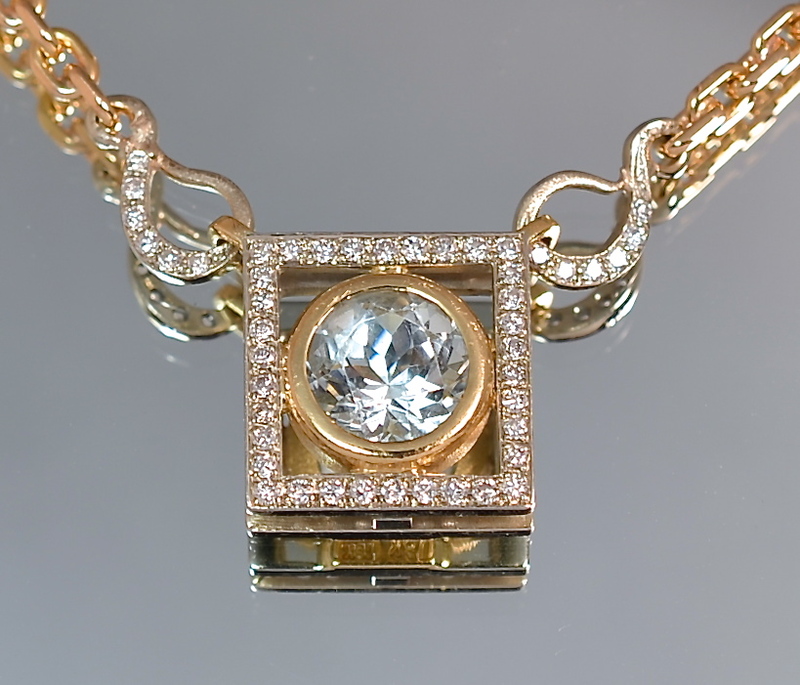 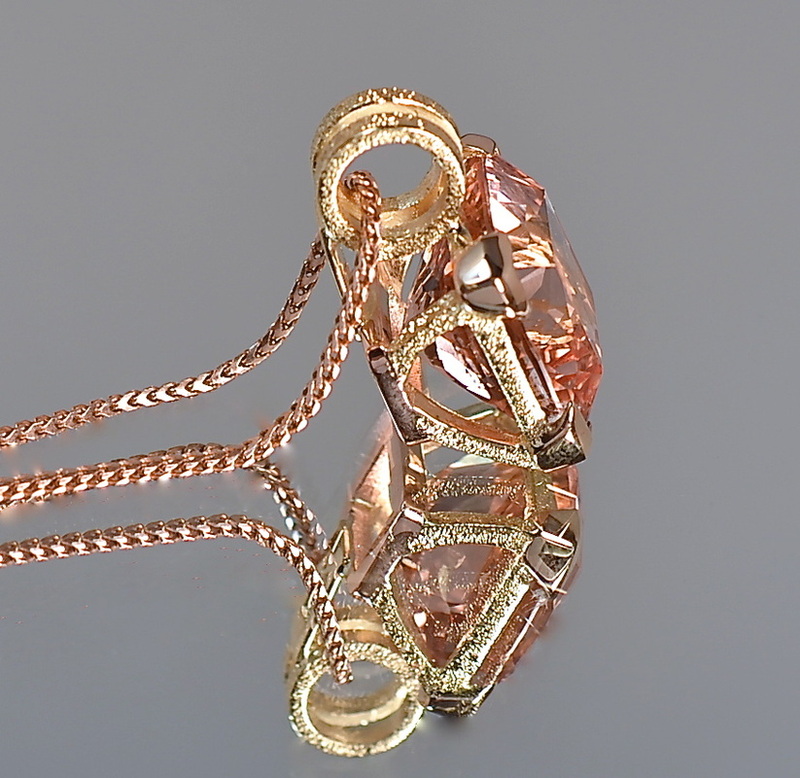 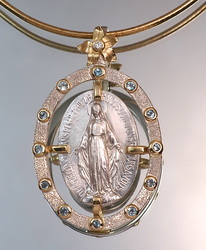 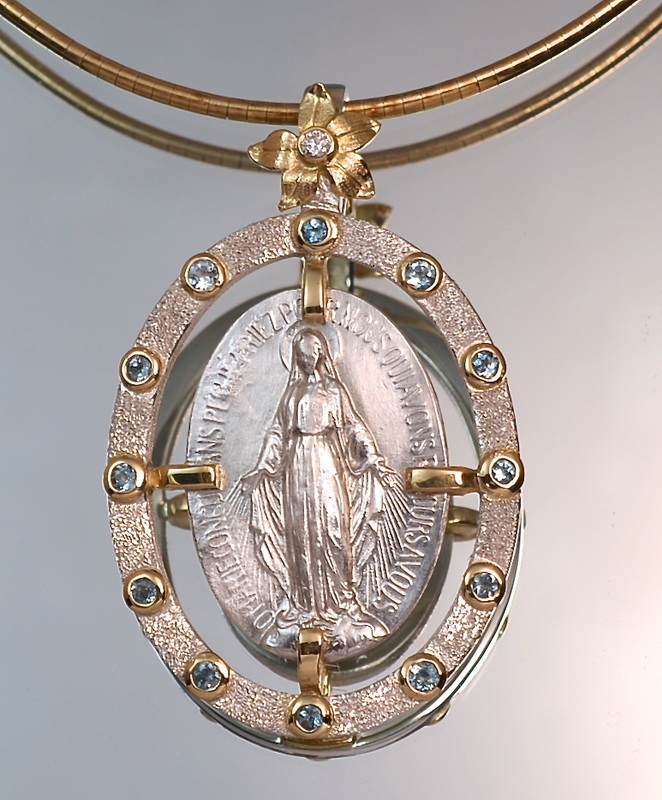 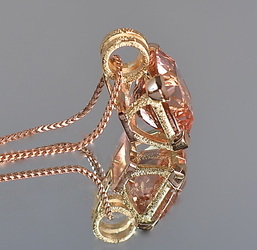 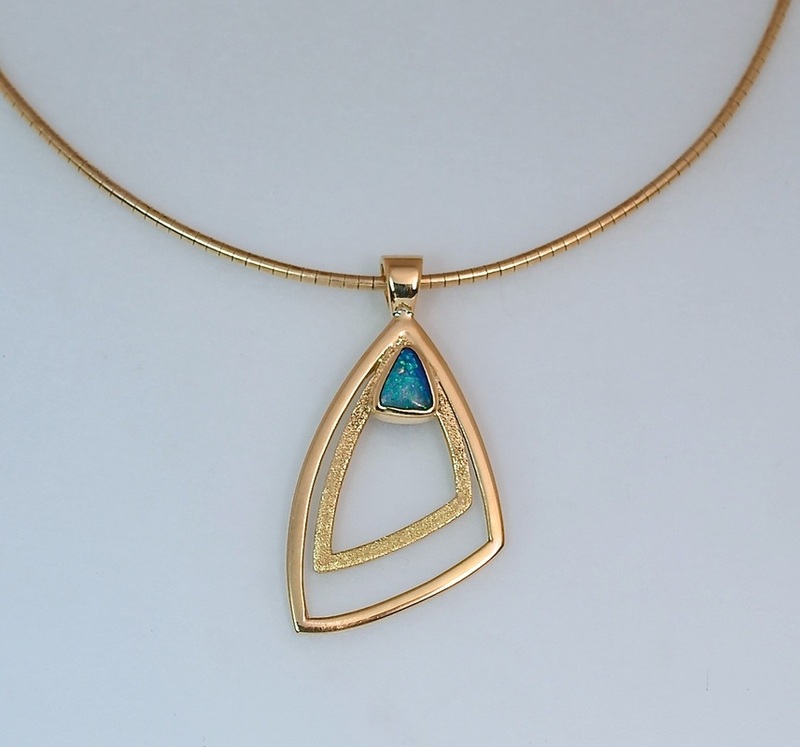 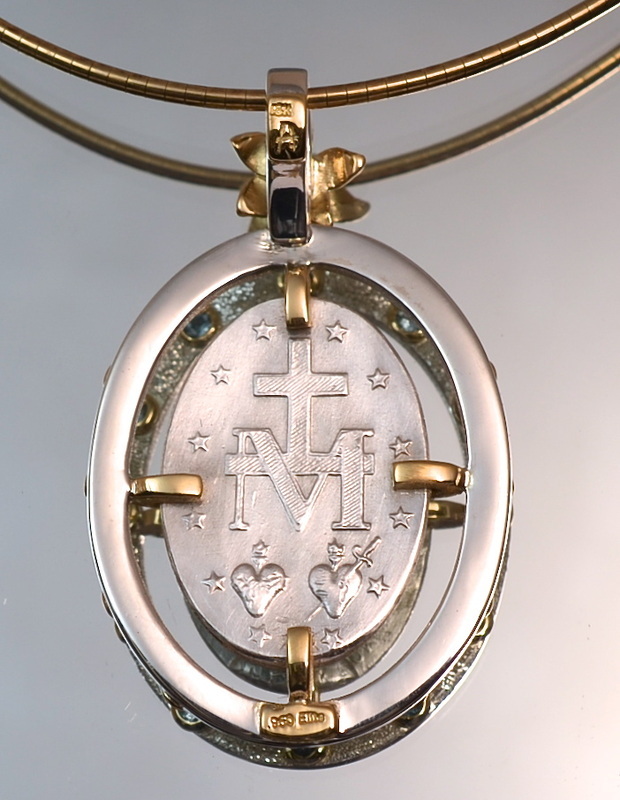 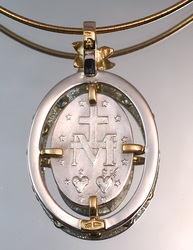 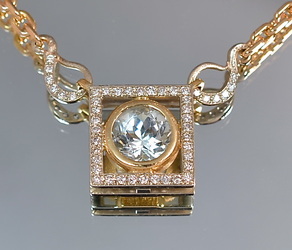 18kt yellow gold pendant with customer's opal. 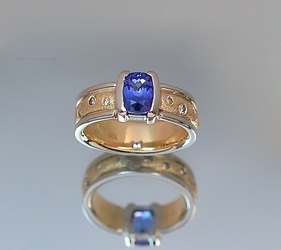 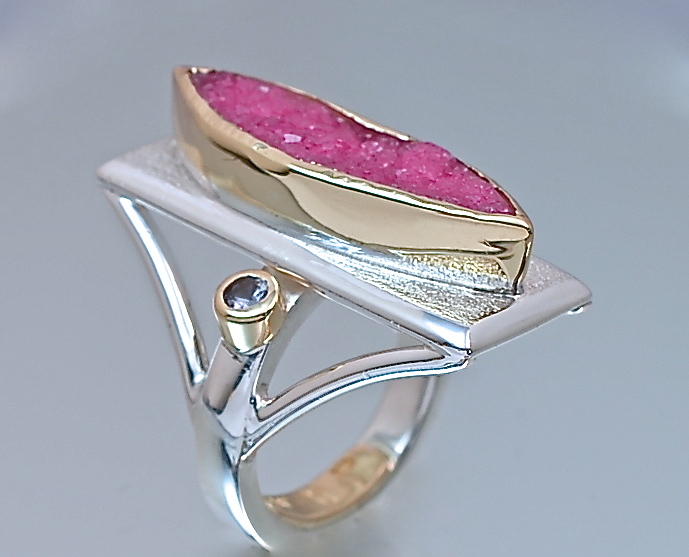 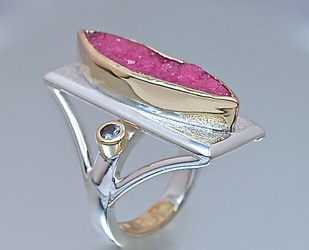 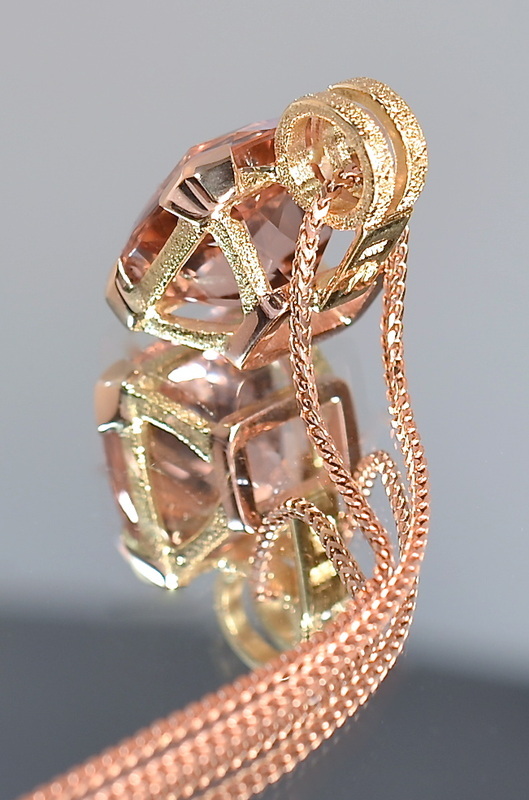 18kt yellow gold Diva ring with 50t checkerboard cut amethyst. 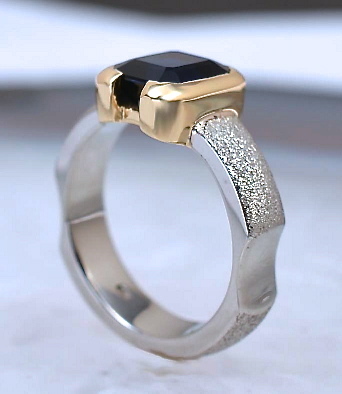 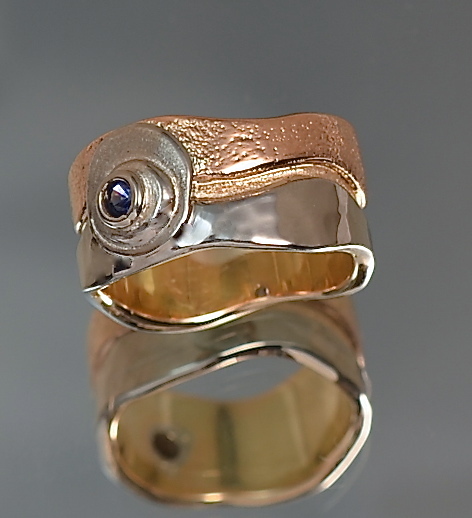 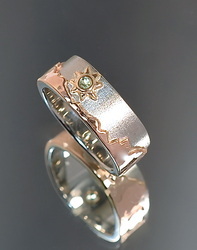 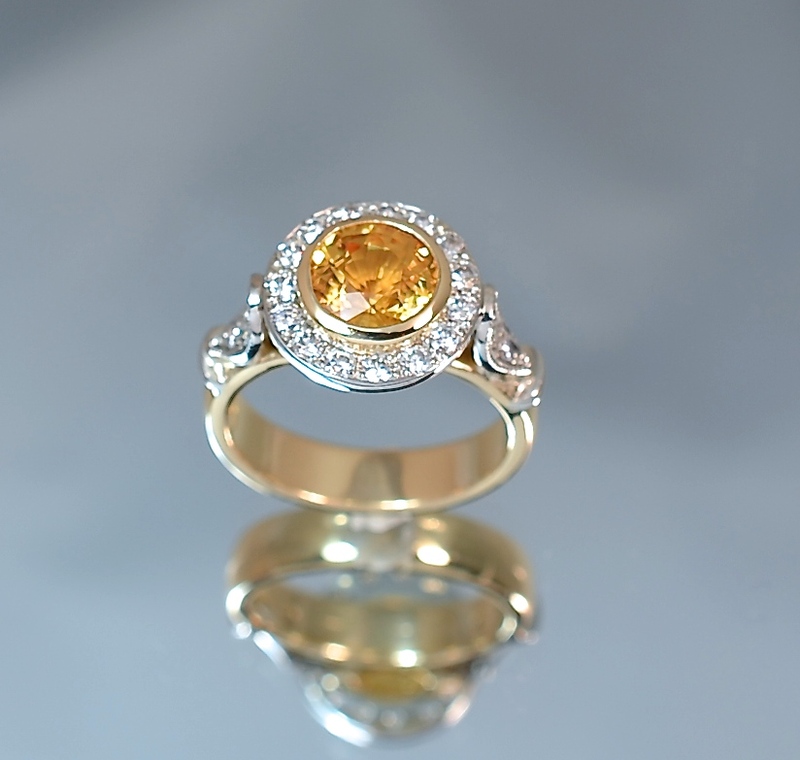 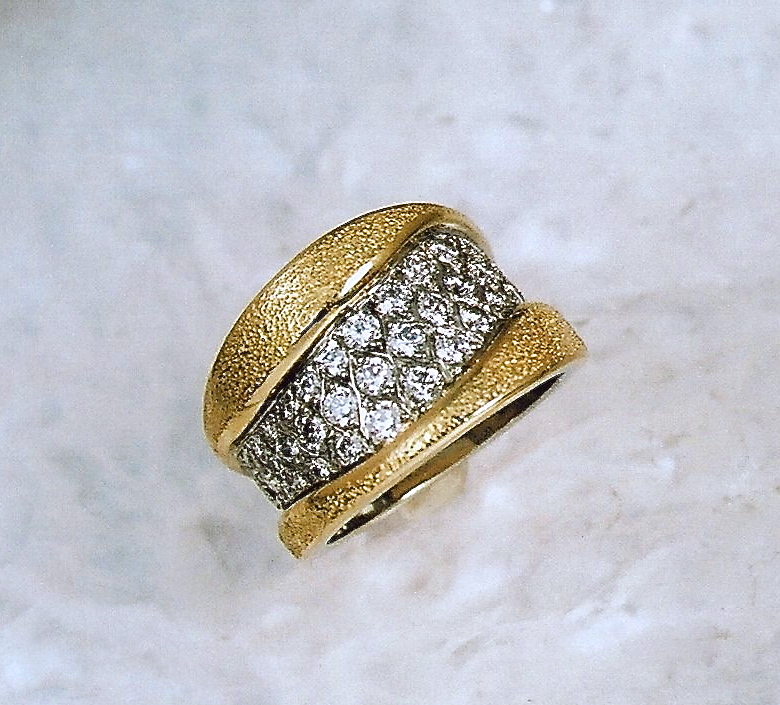 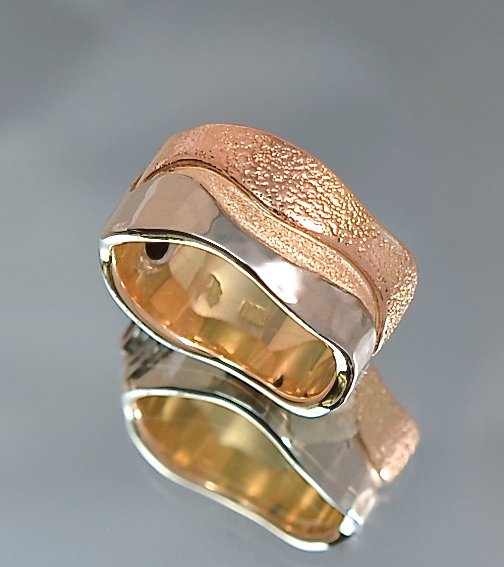 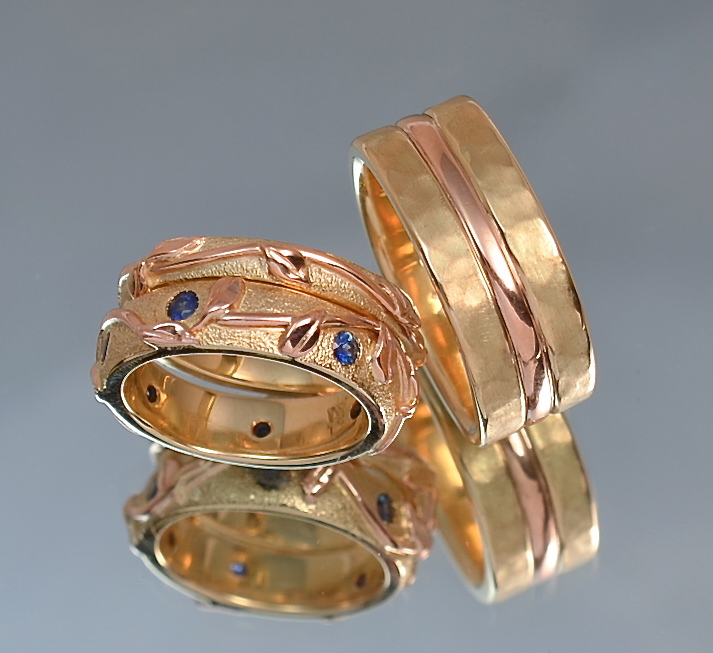 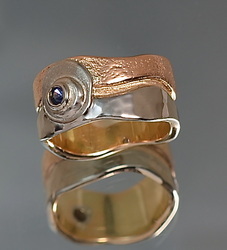 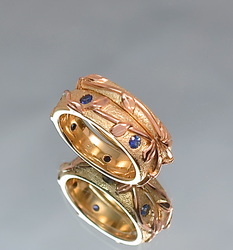 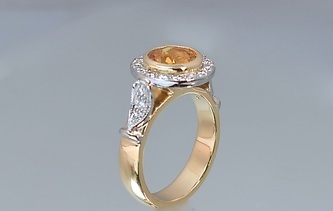 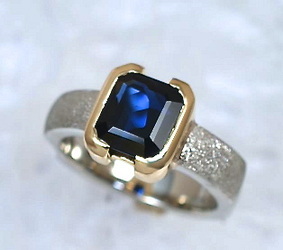 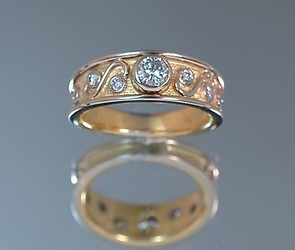 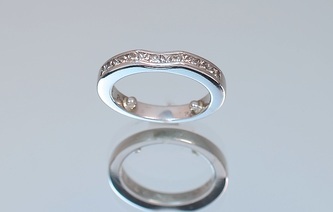 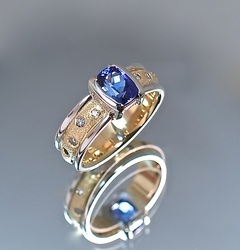 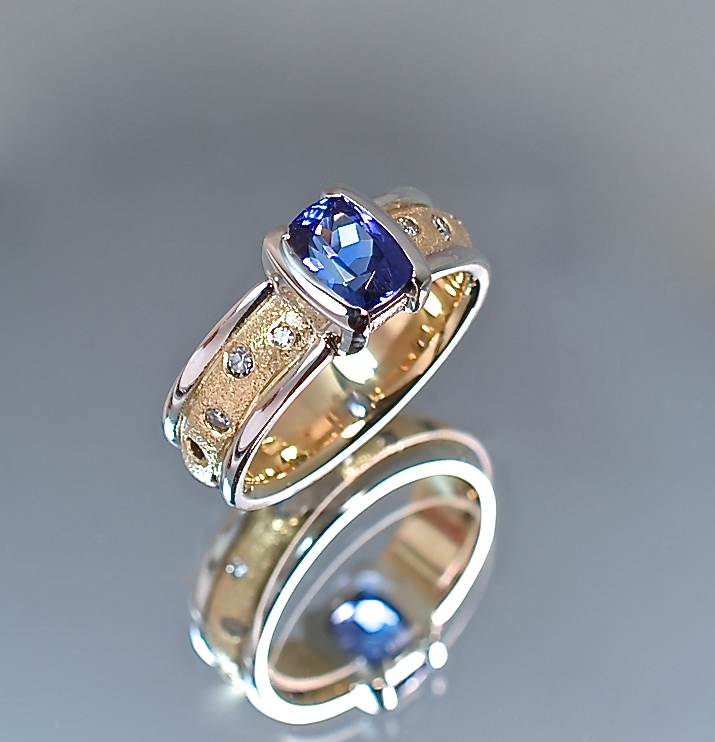 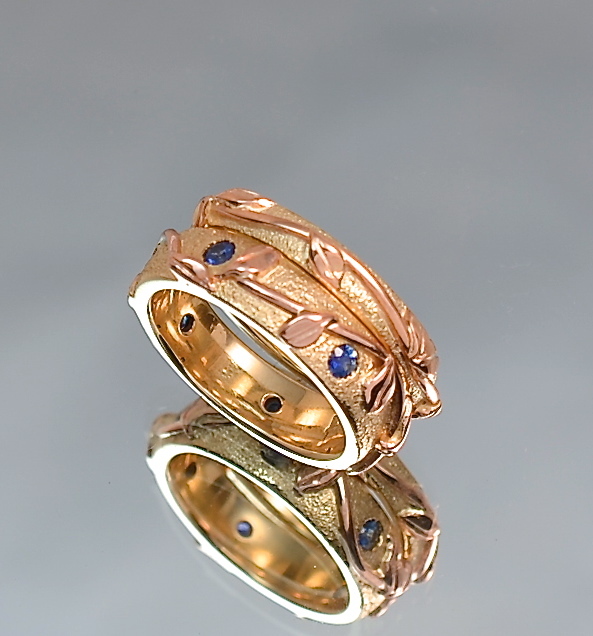 18kt yellow and white gold Renaissance ring. 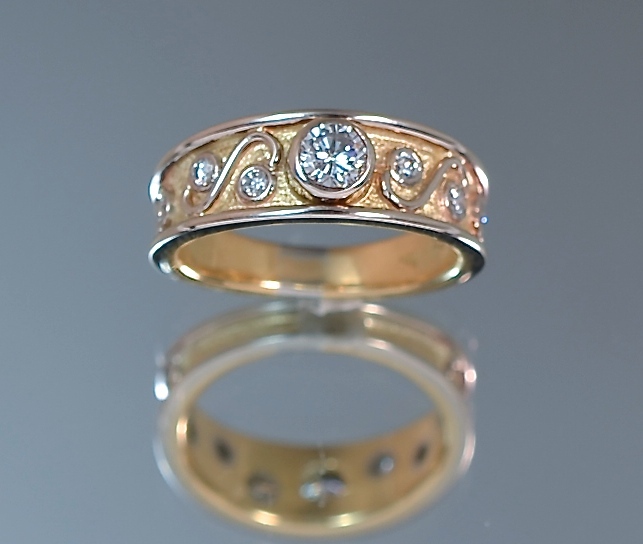 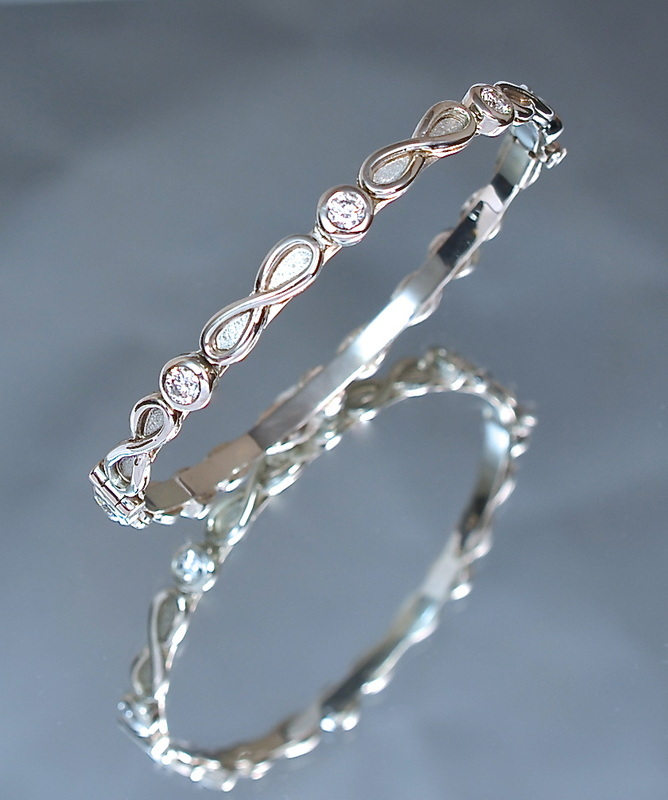 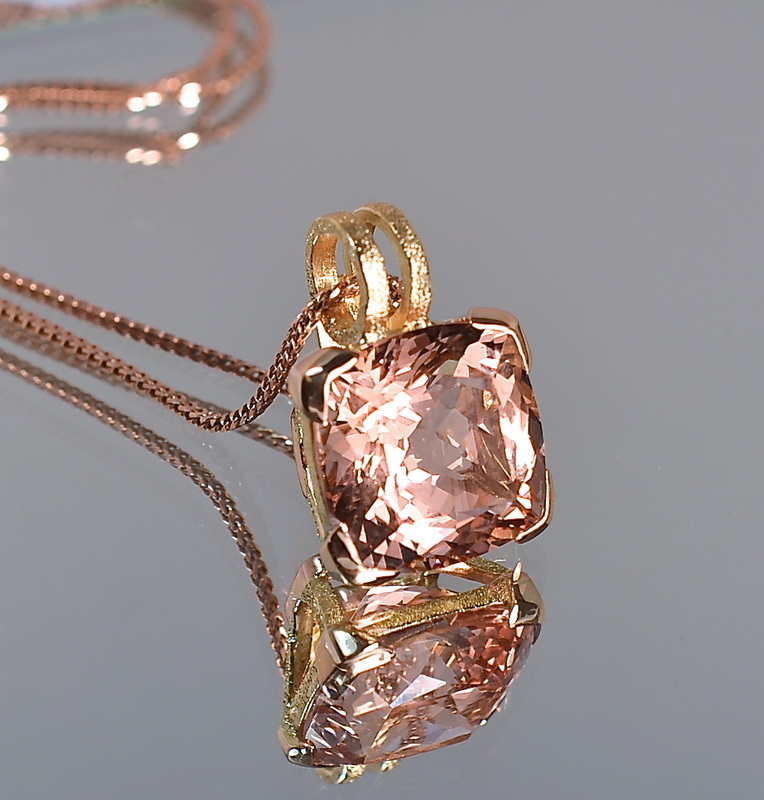 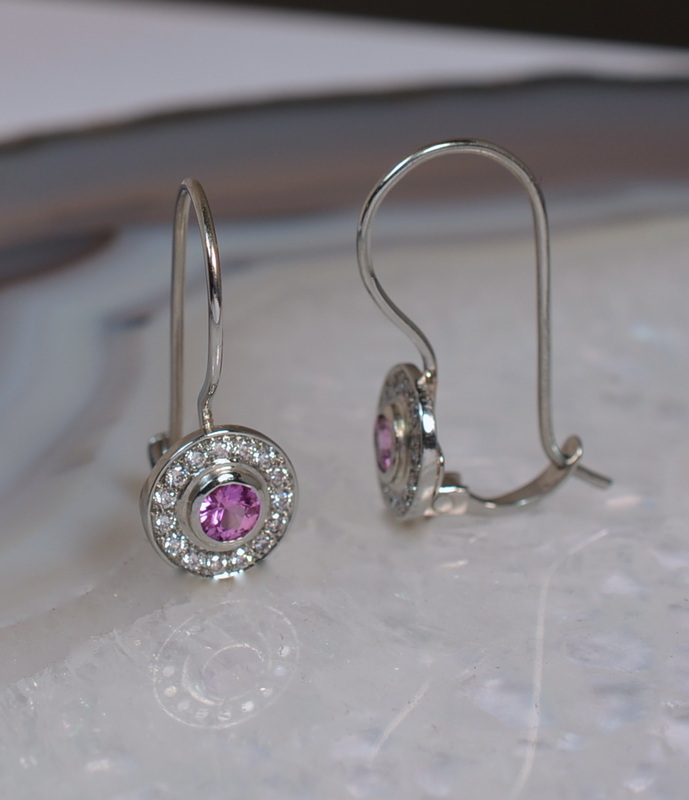 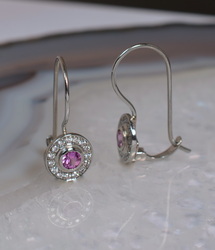 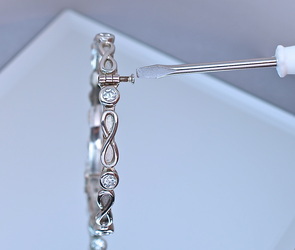 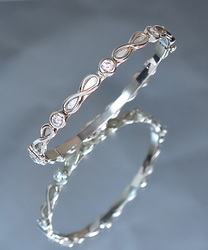 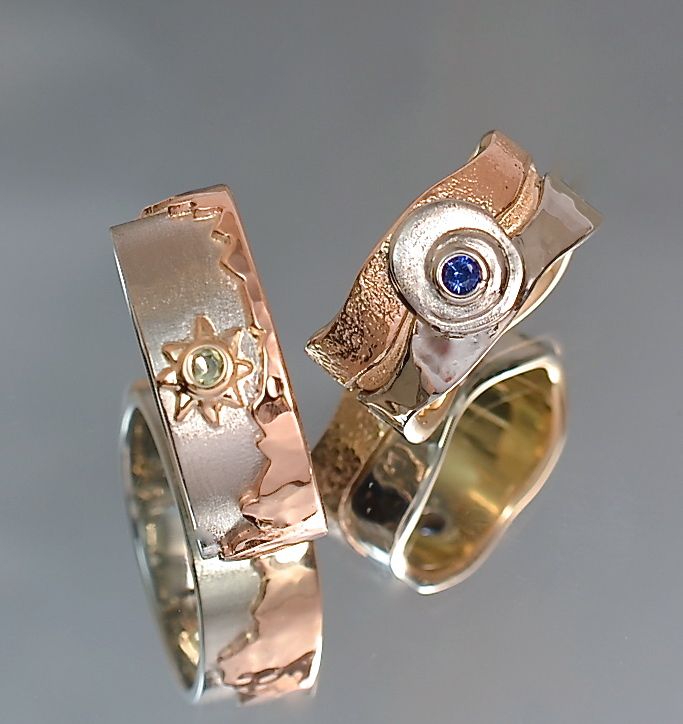 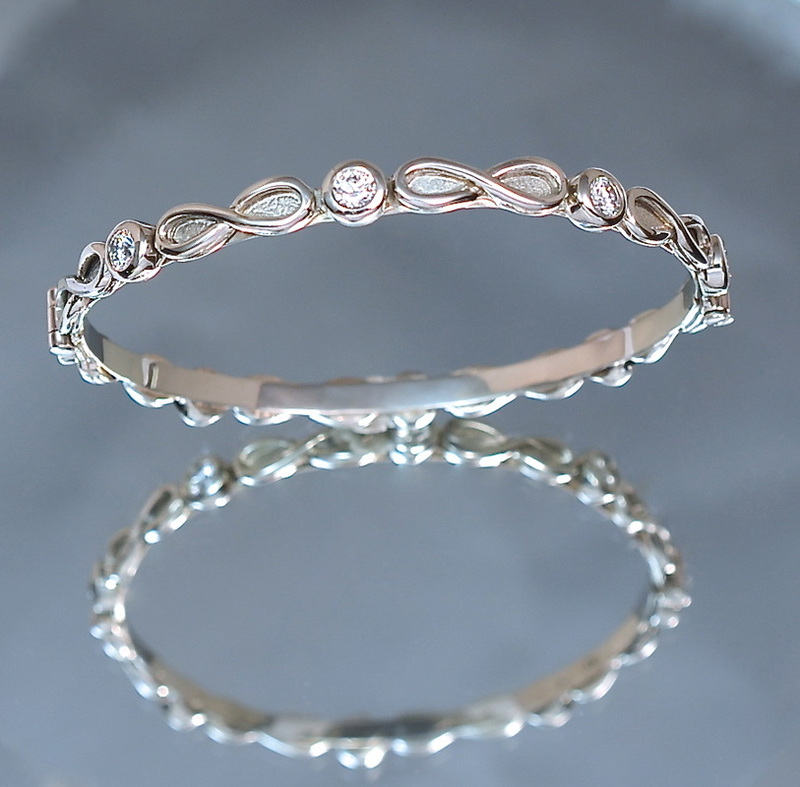 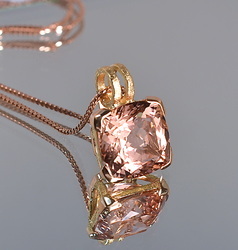 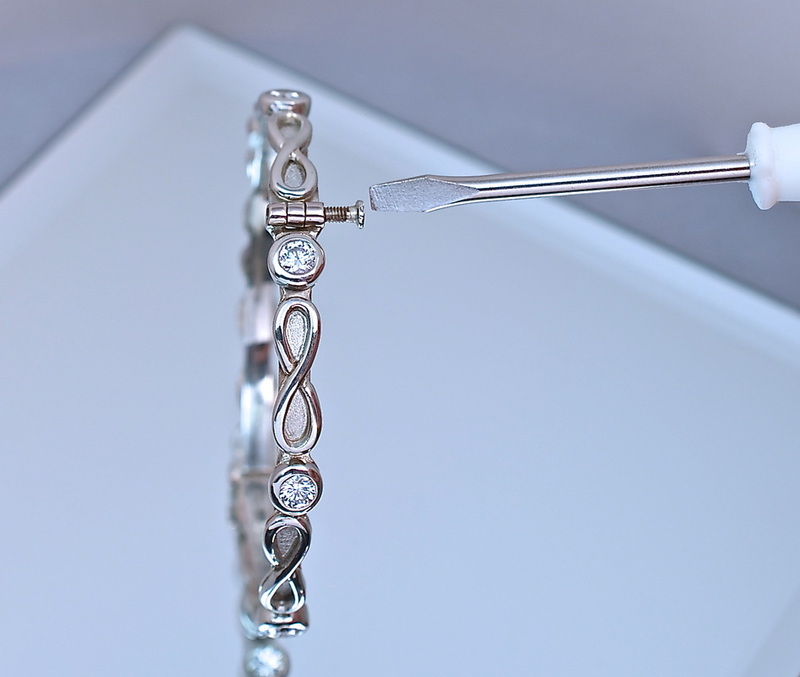 Customer's diamonds.